Image 7341176: Tiny retro shapes seamless vector pattern. 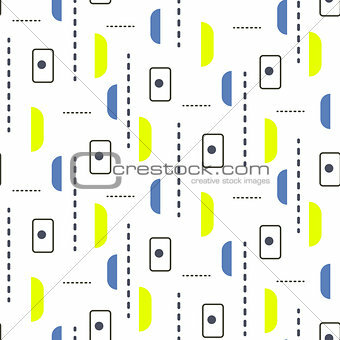 Image Description: Tiny retro shapes seamless vector pattern. Blue and green basic geometric sixties textile abstract repeat background.